Press Release by By Dan Wooding the Founder of ASSIST Ministries. More information about Dan Wooding and ASSIST Ministry could be found at the end of the article. Voytovich, who is also the President of God Heals Broken Hearts Ministries (www.godhealsbrokenhearts.org/), movingly told the story of how his wife, Lyubov, who was 32 at that time, first discovered she had a lump in her breast.“It was back 1955, when we were living in the small town Stebnic in the west of Ukraine, that she first she had pain in her left breast and noticed lump there,” he said. “She went to have it checked out and the doctors, who had not yet discussed surgery, started her treatment with chemotherapy. It was then that I felt prompted of the Lord to pray for her complete healing. 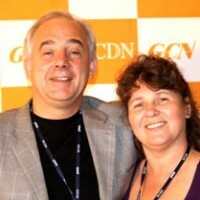 Note: Vasiliy Voytovich, is also the founder of the Happy Family (www.happyfamilymag.com) Christian online magazine. Dan Wooding, 71, is an award winning British journalist now living in Southern California with his wife Norma, to whom he has been married for 48 years. They have two sons, Andrew and Peter, and six grandchildren who all live in the UK. He is the founder and international director of ASSIST (Aid to Special Saints in Strategic Times) and the ASSIST News Service (ANS) and was, for ten years, a commentator, on the UPI Radio Network in Washington, DC. He now hosts the weekly “Front Page Radio” show on KWVE in Southern California which is also carried throughout the United States.